South Africa offers a most diversified vacation experience with cosmopolitan cities, mountain ranges with deep canyons and rivers and safari game drives. Commence in Johannesburg and travel to the Jane Goodall Institute to view chimpanzees in the semi-wild. Enjoy spectacular game drives at Kruger National Park as you search out the Big 5; Lion, Leopard, Elephant, Buffalo and Rhino. Enjoy the Panoramic Route driving through mountains viewing canyons, rivers and waterfalls. 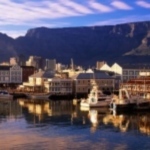 Spend a night at a private game reserve before arriving at one of the most beautiful cities in the world; Cape Town.